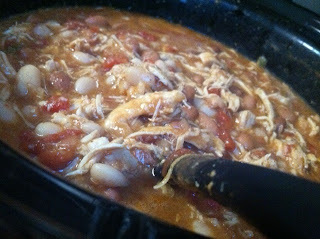 On a cold winter day, this is the perfect (and easiest) recipe to make! No need to chop anything and you can prep it in the morning and let it simmer all day, or whip it up and eat it an hour or two later! 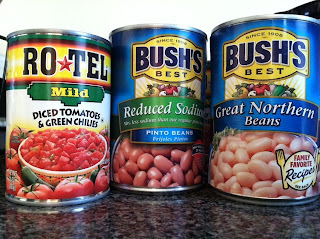 I am all about convenience when it comes to healthy eating, especially with a busy lifestyle. Half the reason I write this blog is to prove to BUSY people that healthy eating is SO simple! The only downfall to making my long-desired chili was the fact that I had to carry my 12lb. 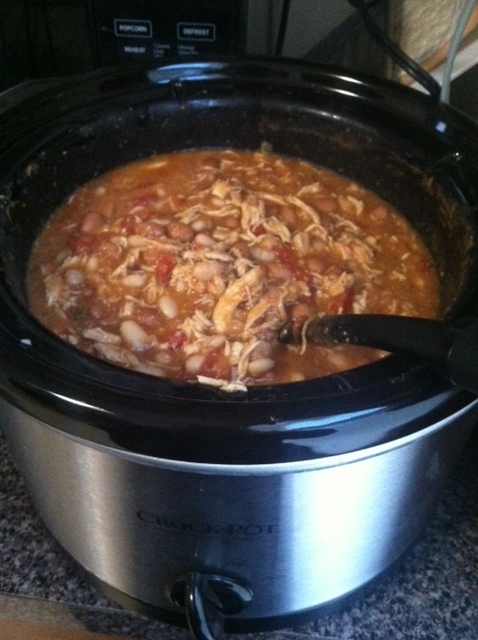 new Crockpot home… over a mile. After an arm workout. But hey, like I always say: turn a negative into a positive! YAY for a 2nd workout of the day (and YAY that I can now make chili any day I please since I finally bought my beloved Crockpot). 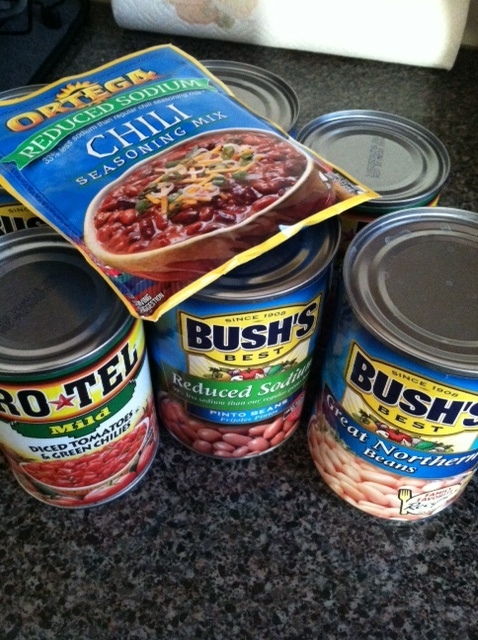 Enough of my sob story- let’s make some chili! 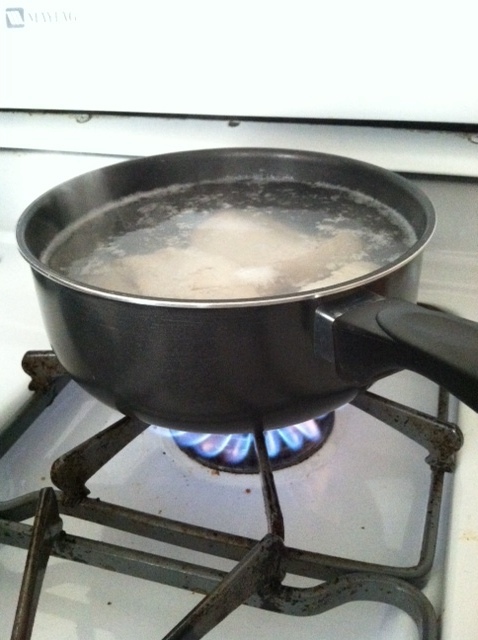 Begin by boiling a large pot of water. Once boiling, gently place the chicken breasts in the water, allowing them to cook for about 10-15 minutes. You may notice a little froth gathering on top of the water while the breasts are cooking- just swipe this off, it is fat! When I think they are ready, I slice a breast in half just to verify that it is fully cooked! Meanwhile, get started with your beans. 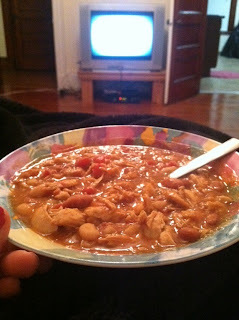 You can truly use any beans you want- I just enjoy this “white bean” chili that my mom always makes… reminds me of home! 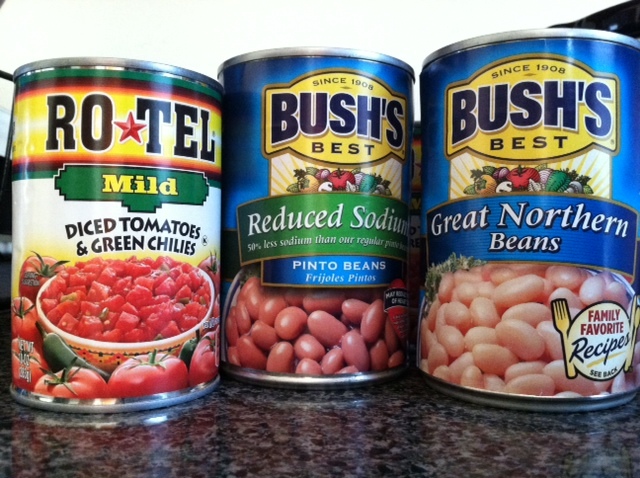 Opt for "low sodium" beans whenever possible- I can't always find them, but with all of the canned products going in this recipe, the sodium tends to skyrocket! 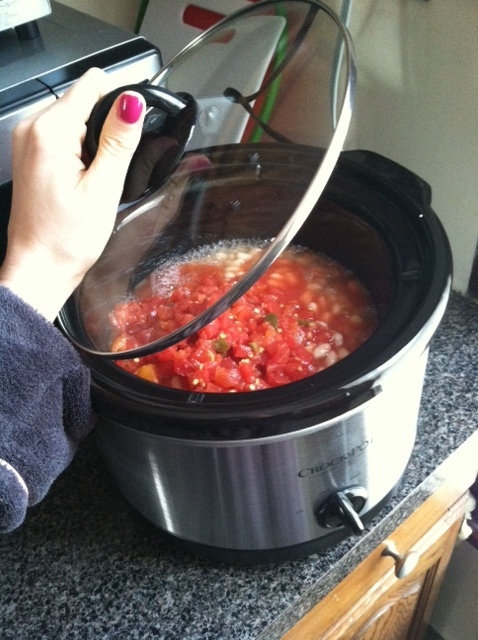 Open all of your cans, DO NOT DRAIN them, and dump all 6 of them in your Crockpot. Empty your chili packet in. My mom stirs in a small amount of sour cream and serves it with shredded cheese on top. This is delicious, but I choose not to do this… Health freak over here! 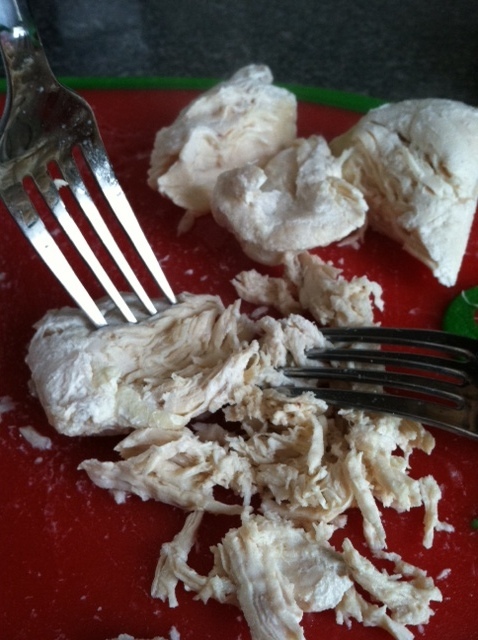 Like most of my recipes, this makes great leftovers! Divide out your leftover chili into individual servings in Tupperware, and toss them in the freezer. Take out a serving and put it into the fridge the night before you want to enjoy it again!